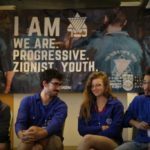 Over the past weekend, Netzer Olami hosted an educational Shabbaton at the Ruth Daniel Residence in Jaffa for Progressive young adults who are participating in various long-term programs in Israel. 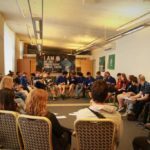 The seminar explored Progressive Judaism through workshops on: spirituality, Tikkum olam and activism, and Jewish culture and community. Close to 40 participants joined us, representing communities across our global movement – Australia, Belarus, Brazil, Britain, Israel, North America, Russia and Singapore. 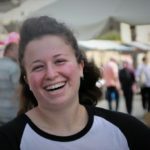 Each stepping away from various MASA and Israel experience including: Habonim Dror Shnat Hachshara, Chazit Hano’ar, Netzer, Noar Telem Shnat Sherut (year of service), Mechinat Nachshon, Heller High and the World Union community program. 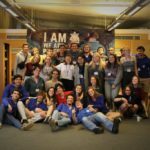 It was quite amazing to have such a variety of participants from so many countries, movements and programs together for Shabbat. One of the seminar highlights was Kabbalat Shabbat. Although participants came from different countries, sharing songs and prayers, strengthened the feeling of unity and community among us. 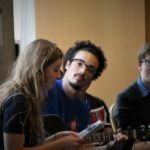 The theme of Kabbalat Shabbat was freedom and choice, which was timely considering Israel’s elections earlier in the week and Pesach just around the corner. After a celebratory Shabbat dinner, we all danced together at the Oneg Shabbat to Israeli hit songs from the past and present; through songs of each decade we also explored the various aliyot to Israel. Seuda Shlishit was run by the Noar Telem Communa who discussed the four sons in the Pesach Hagadah. 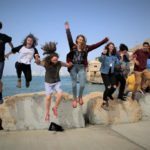 Following Havdalla, an optional tour was offered to learn more about coexistence in Jaffa. 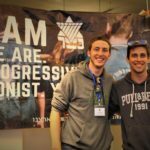 Owing to the positive feedback and inspiring success of the seminar, Netzer looks forward to running another Shabbaton program next year for Progressive young adults who are participating in various long-term programs in Israel together in 2020. 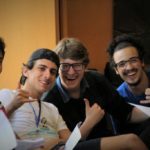 Please fill out this form to share "[ISRAEL] Progressive Shabbaton Connects and Inspires Young Adults in Israel" via e-mail.